Three women from Iran’s Gonabadi Dervish religious minority community, imprisoned in Qarchak Prison of Varamin, were reportedly attacked and beaten by the prison warden after they asked for their personal belongings confiscated back in June. 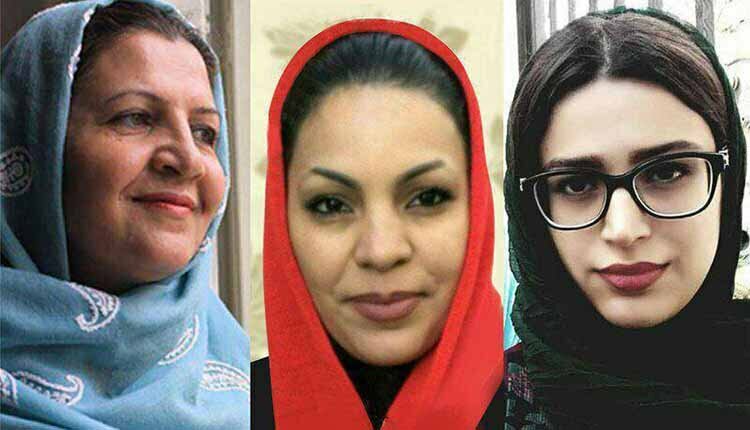 Shokufeh Yadollahi, Elham Ahmadi and Sepideh Moradi, held at ward 7, suffered from infectious due to unsanitary conditions of the prison and demanded to take back their personal belongings confiscated by prison authorities. Shahr-e Rey prison is a disused chicken farm that holds hundreds of women convicted of violent offences in conditions falling far below the UN Standard Minimum Rules for the Treatment of Prisoners (the Nelson Mandela Rules). Common complaints include urine-stained floors, lack of ventilation, insufficient and filthy bathroom facilities, prevalence of contagious diseases, poor quality food containing small pieces of stone and salty water. Gonabade Dervish women, were badly beaten up and brutalized on June 13, 2018, by special prison guards after they protested the prison conditions. Eleven Yaresan women were transferred to Qarchak Prison on February 20, 2018, after the bloody crackdown of the peaceful demonstration and gathering of Gonabadi Dervishes in Tehran. Although the arrested women had been badly injured and needed urgent medical care, the prison’s medical staff refused to provide them care. Sepideh Moradi, Sima Entesari, Shima Entessari, Avisha Jalaleddin, Shokoufeh Yadollahi, Maryam Farsiani, Nazilla Noori, Maryam Barakouhi, Elham Ahmadi and Sedigheh Safabakht have been detained since February 20, 2018, in Qarchak Prison under inhuman conditions. Sepideh Moradi suffered injuries in the hand, elbow and fingers while being arrested during the Yaresan protest in Tehran. Her legs got burnt due to security forces’ use of tear gas, the scars of which still remain after three months. Moradi has been denied medical care. Shokoufeh Yadollahi was badly brutalized during arrest and subsequently under torture as a result of which she has lost her sense of smell and needs to be treated urgently. Shahnaz Kian Asl (Kiani) was transferred to the dispensary of Qarchak Prison of Varamin on May 19, 2018, upon insistence of inmates, but was returned to the ward without receiving medical care. She had been offended and humiliated in the clinic by the doctor and nurse. Amnesty International issued an Urgent Action on March 29, 2018, condemning the arbitrary arrest and ill-treatment of 11 women from Gonabadi Dervish religious minority.